If you don’t pack the right items, you’ll be terribly miserable and perhaps even turn into a meat popsicle, which I bet isn’t on your list of things to experience while here. Your Iceland packing list needs are all sorted right here no matter what season you’re coming in. As a general rule, the season doesn’t matter too much in Iceland as most times of the year, you’ll experience all of them in a day or at the least, a week. Iceland’s weather is psychotic, summer is a relative term, and Iceland’s favorite color is rain. 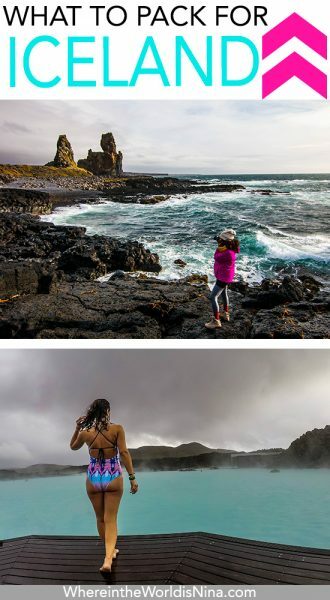 Don’t, not even for one second, think that you don’t need proper gear for going to Iceland. This isn’t a place to bring your cutesy boots that will be “good enough” for warmth but look super cute in pics. No. Just no. It’s a brutal country in terms of weather and terrain. You NEED proper clothing and footwear. 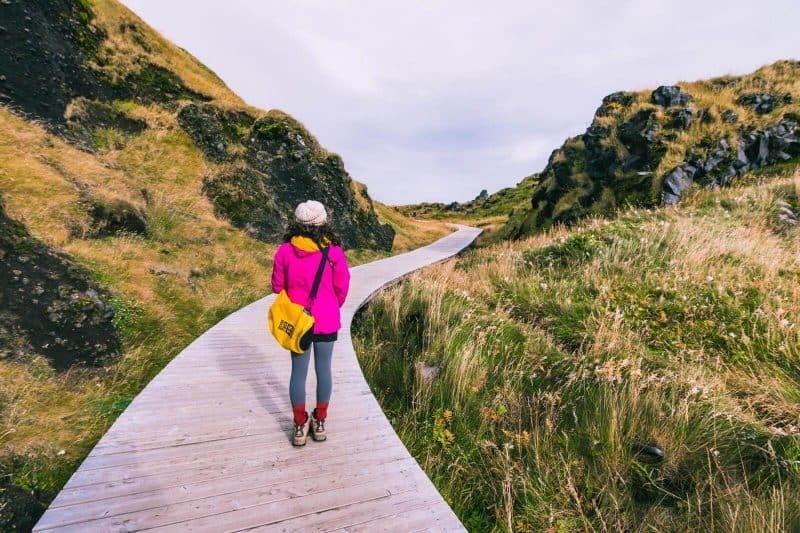 You don’t need a lot, you can wear again and again (whatever, it’s not like you’ll be sweating very much), but you do need quality outdoor gear to survive comfortably in Iceland. 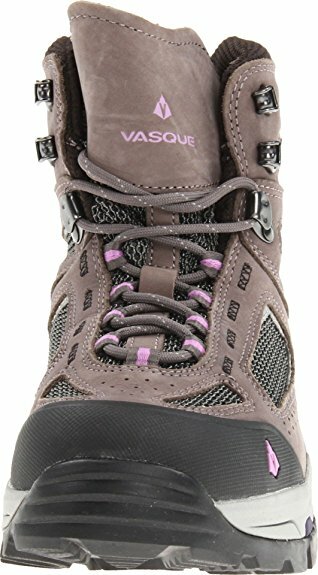 Shoes that are comfortable, lightweight, and water-resistant/proof is not an option, it’s something you NEED. Don’t think you can get by with just anything. You’ll be sorely mistaken when you have frozen sopping toes. Also, ankle support is a good idea too! The terrain and weather in Iceland is no joke and your feet will get the worst of it. You may think you don’t need them but I always travel with flip flops no matter the destination and guess what? I used them. Not much, but I used them! 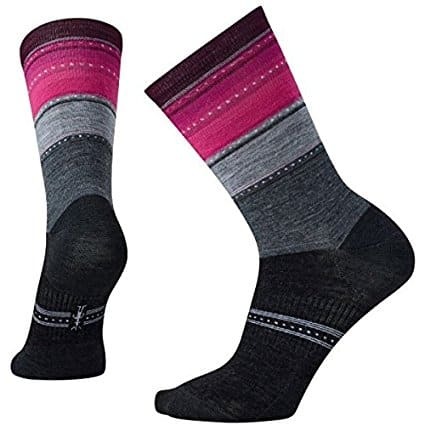 They are perfect for when you need to shower, who wants to put socks and boots on after a shower? And when you’re leaving the van for a quick midnight pee, flip flops are what I threw on. This may not work if you’re in a foot of snow though. These are the flip flops I’ve been using since my college years. They last ages so don’t be put off by the price, they are worth every cent. A versatile jacket that’s preferably warm, a windbreaker, and a rain jacket in one so you don’t need multiples. I LOVE that they attach to each other. This made packing and keeping warm MUCH easier, this Columbia jacket solved all my needs in Iceland. They interlock as well so when you take your jacket off, you don’t need to peel two off, just the one. The feature photo in this post shows the inner layer of the jacket and the photo below shows the outer shell layer. Literally, this jacket saved my life… This Florida girl would be a permanent icicle in Iceland without it. What to wear in Iceland? A badass jacket. CHECK. I lived in this one! Bonus: Considering we were sleeping in the van, the puffy jacket made a nice addition to my pillow which needed an extra fluff. You may want a vest as another layer to keep your core warm instead of too many shirts or an extra sweater or jacket. A simple fleece lined or down vest can go a long way in keeping you warm! For your essentials on what to pack for Iceland, these will be your basics. You’ll need these as your base layer so you’re extra warm. 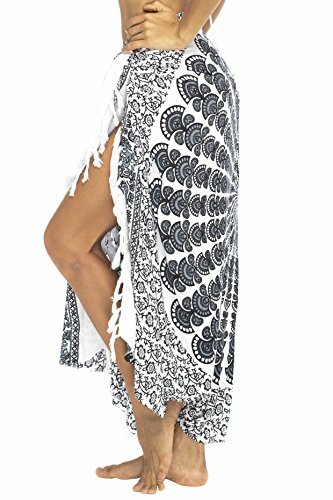 You can get one top and one bottom and rewear, promise I won’t tell, but considering you’ll be wearing this pretty much everyday, getting two of each may be a good idea. You’ll be fine in jeans… If you wear something underneath them! 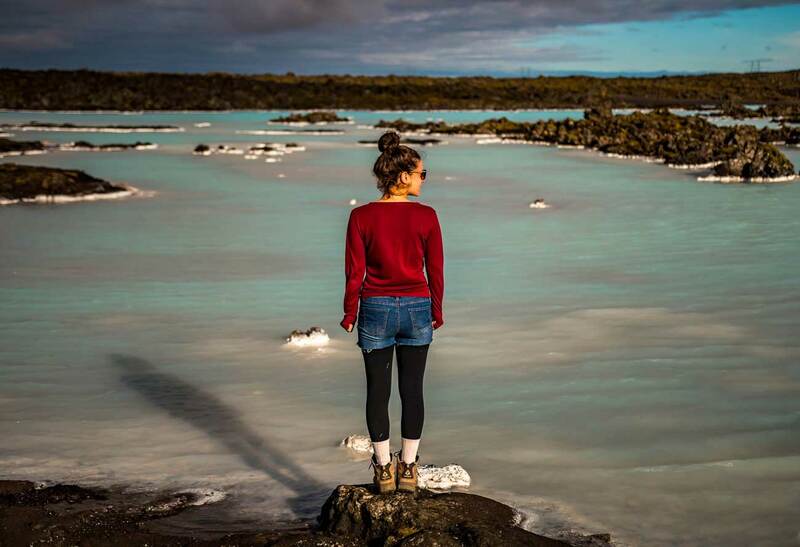 Don’t rock up anywhere in Iceland with just jeans, you’ll be cold. Depending on the time of year, you may get away with it but don’t let this be your only bottoms, you never know when the weather will turn. This is, again, another non-option for deciding what to wear in Iceland. Getting away with regular leggings is just not going to happen-you’ll freeze! I lived in these things the entire time and it was the best thing on my Iceland packing list because my legs never got cold. I rotated the three I owned and if I was extra cold, I’d layer and wear two of them. I know, weird, why would I put this on a list for what to wear in Iceland? Well, don’t forget, I live out of a bag. My options are limited. I need to pack for other places too! So while these two items were taking up space in my bag, I made sure I put them to use. Throw your leggings under them and you’re good to go. This way you can also make use of shorter t-shirts that aren’t long enough to wear with just leggings. Of course, everything else you’d bring is quite regular and you may even have them in your closet. 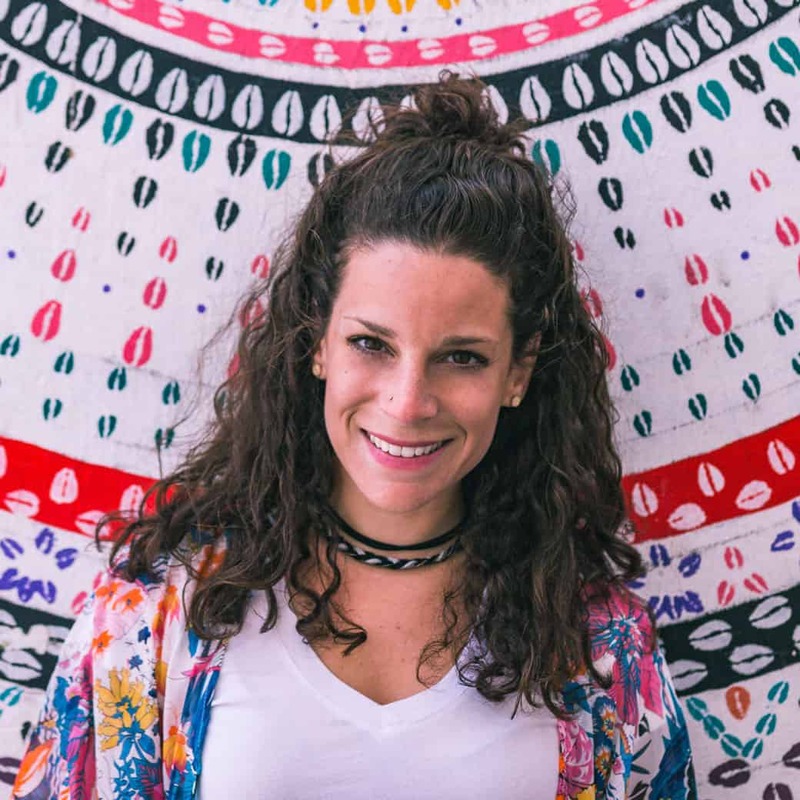 Grab a few long and short sleeve tees and even dresses that can accommodate a layer underneath and you can pair them with everything you see here. And the fourth rule: Make sure you’re bringing a variety of things that can mix and match with each other so you’re not bringing too much. There’s no need to bring the dressy dresses if you’re campervanning and road tripping the island. Staying in Reykjavik and partying? Sure, bring the dress. Keeping your head and feet warm are two things that you can’t ignore. These will be the most important areas of your body to keep warm. 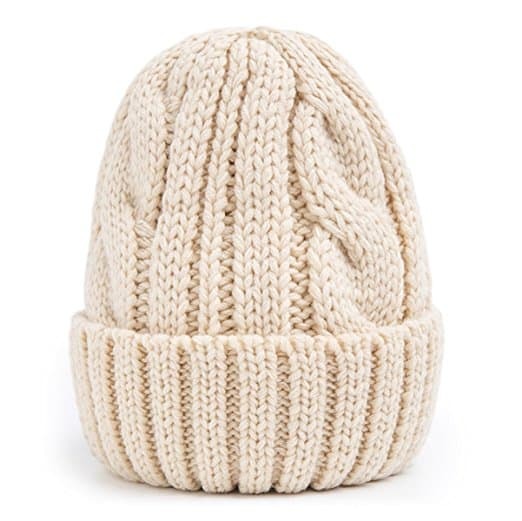 I wore a knitted beanie although, a fleece-lined one would be another good choice. These are the two I used. 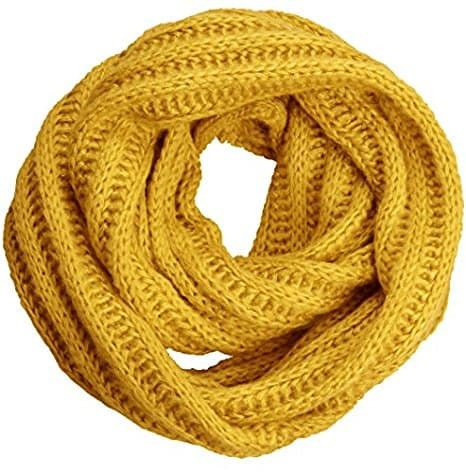 The cable knit scarf was perfect in two ways. I was kept warm and it gave me a pop of color and “style” to my outfits. I was desperate to look halfway cute but it’s so hard when you need to bundle up! A colorful scarf can help that. 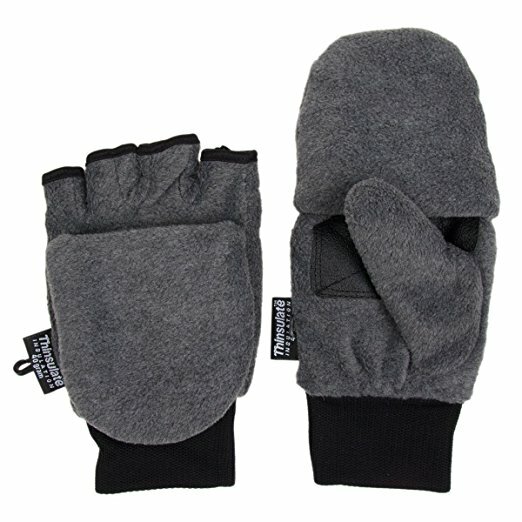 And these gloves were great, although I would say they wouldn’t be warm enough if you’re here in the height of winter. You’d need to pack something more like these. I need my fingers for my camera and phone so to have the option of uncovering them and covering them without taking off my gloves was clutch. Iceland has some of the best drinking water in the world! Don’t buy water! Just fill up almost literally anywhere. And just in case you’re a skeptic, this water bottle has a filter to make sure your water is extra clean. Regardless if you’re going in winter or summer, and if it’s cold or not, if the sun is out, you have a chance of burning or increasing your chances of skin damage. Bring along a small sunscreen stick because you’ll just need it for your face as it’s unlikely any other part of your body won’t be covered! On a similar note, bring lotion and chapstick. The wind is harsh and drying so you’ll want to moisturize. My lips were like sandpaper some days! 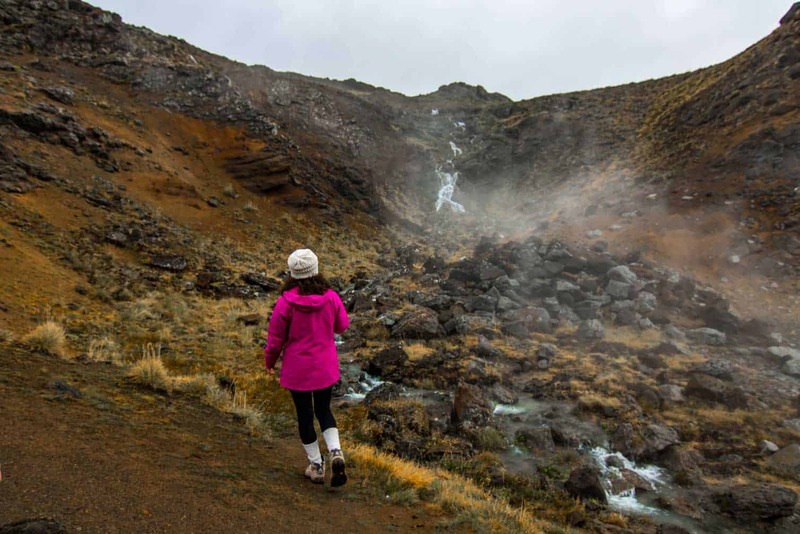 Don’t forget about your skin when deciding what to pack for Iceland. This bag can be used for so many things. I used it when we bought groceries so we didn’t use plastic, I used it to throw stuff in when I needed to transport it like clothes to the shower or food to the shed to cook. Of course, you can use it as a day bag as well and it takes up almost no space when not in use. This bag is literally on every packing list or gear post I post. Always. And for an Iceland packing list? Yeah, this is a must. This dry bag will keep your stuff, well, dry. And you’ll need it in Iceland in because everything gets wet in Iceland at some point or another. It’s the best rainy day purse as well. I always recommend getting the 15L or larger. It can always be scrunched down if needed. When packing for Iceland, a dry bag is a must! OK we got what to wear for Iceland, now where to put it all? You should backpack in Iceland! I mean, do whatever you want, but if you’re like me, you may want to just bring a backpack. I came to Iceland with a suitcase. This is because I literally live out of a bag and I travel perpetually! But I had to leave my suitcase at the place we rented our van from (and shove everything I packed for Iceland randomly in the van) because there was NO way we were going to fit two humans and two hard suitcases with wheels in a tiny van. I’m suggesting a backpack because it will be a lot easier to move around and squish into places if you’re road tripping and living out of a van. Other situations? Well, I still think backpacks are easier! If you’re camping, this is obvious but even if you’re staying in hotels, keep in mind, everything and everywhere is covered in gravel and depending on when you come, sometimes snow. So yeah, good luck with that rolley suitcase. Bring an external battery if you don’t want to pay for a power converter or if you have a plethora of things to charge like we do. These also come in handy if you want to charge when the car is off at night. 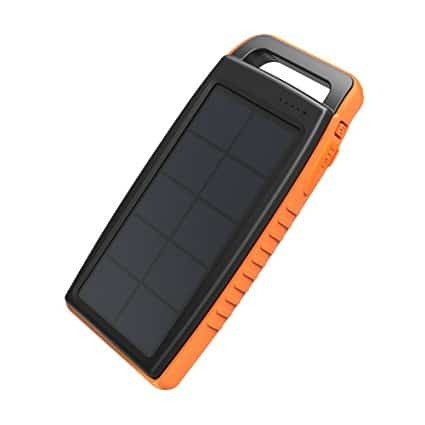 This is the one I travel with as it can charge a phone around 5 times before dying and even solar charges itself (which unfortunately didn’t come in handy while in Iceland but it most other places, would be great.). I also charged my GoPro with it. 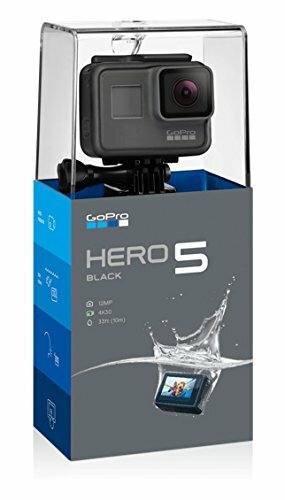 Because of the psycho weather here, A GoPro is a must-pack for Iceland! You just never know. There were a few times I literally couldn’t get the DSLR out because I would ruin it. If you’re diving in the Silfra, swimming at the geothermal pools or even at some of the waterfalls, you’ll need one! Whatever you do, you have to bring your camera. Don’t dare leave it home for any reason. Iceland is possibly the most beautiful country I’ve ever seen and you’ll be missing out on million photo opportunities. I’d venture to say, if you don’t have a decent camera and are interested in photography, this would be a prime place to venture into photography-land! The secret is layering. So buy things that you can layer and take on and off easily. And if you live out of your suitcase like I do, finding things that can be both summer and winter is great, like my summer dresses paired with leggings, my boots, beanie, and jacket. I was good to go! Don’t underestimate the wind in Iceland. It’s psycho and brutal. The jacket I recommend is perfect for keeping that wind chill out of your core. The shell part of the jacket is for wind and rain and will protect you, so this item is probably the most important things to pack for Iceland. Leave the fancy stuff at home. Unless you want to hang out a lot and go out clubbing in Rekyavik, where the people are beautiful and they dress up, leave your Saturday party outfits at home. Iceland is super casual outside of the city so don’t feel the need to bring dress up stuff. 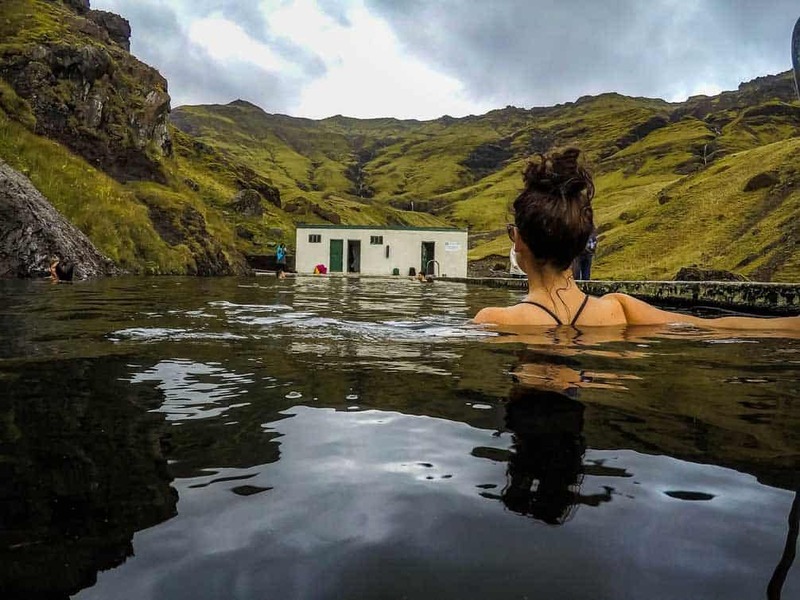 Although it’s cold in Iceland, don’t forget to pack your swimming suit for those amazing geothermal waters! If you’re coming in summer, remember to add a sleep mask to your Iceland packing list! It doesn’t get dark in Iceland during the summers. Don’t skimp on the quality of your head and foot gear. This will make or break your time in Iceland. Out of everything recommend to wear in Iceland, spend your money here! Trust me. Frozen toes are the WORST. If you’re coming at the height of winter, you’ll need some ski pants! These will keep you a bit warmer but most importantly, dry. Less is more when you’re packing. 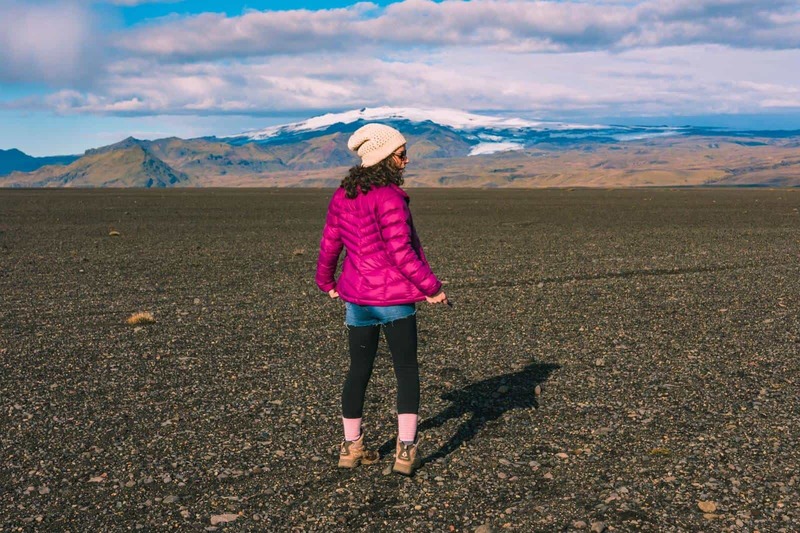 Trust me, I’m an over packer (always and foreva) but if you’re living in a van while traveling Iceland keep your what to pack in Iceland list to a minimum. Practical items only. Comfortability reigns here in Iceland, not fashion. If you rock up with “cute clothes only” you’ll be miserable. Iceland is expensive AF. If you forget anything, get ready to break into that piggy bank of yours and cut off that left arm. The prices are as brutal as the weather. 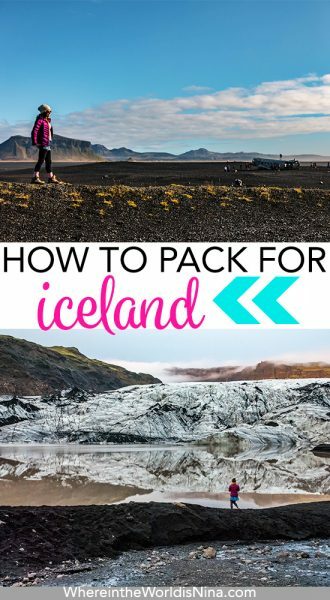 I hope this post on packing for Iceland was useful! You’ll have an amazing trip. Let me know your plans for Iceland in the comments! Click the picture and pin this before you lose it! We are preparing for a 10-day trip at the end of this month with my hubby and our two teenager kiddos! These tips are very helpful. Thank you. Hey Kaylee, Good question! haha. Do they look like mine in the pictures above? What activities will you do? I think you’d be fine but you don’t want anything too heavy. Kind of hard to answer when I don’t see them but if you’re hiking around etc then I’d say you’d be fine. 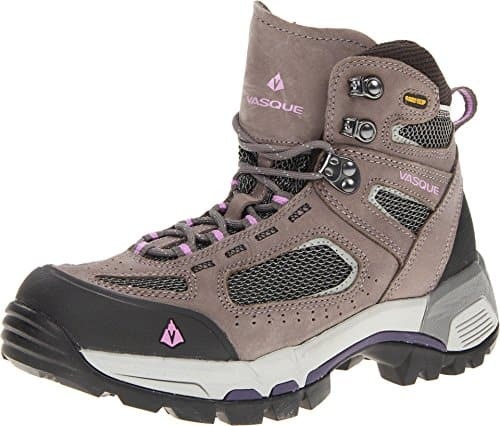 They should be waterproof and even with ankle support for muddy and rainy days. I think people in tennis shoes would be the people looking ridiculous not you! haha. This arcticle was very helpful indeed. I am currently packing for a 3day trip. What are typical dining prices or bar drinks in Reyjavick.